While the Vikings no longer practice in Winter Park in Eden Prairie, sports will still be alive and well on the property. 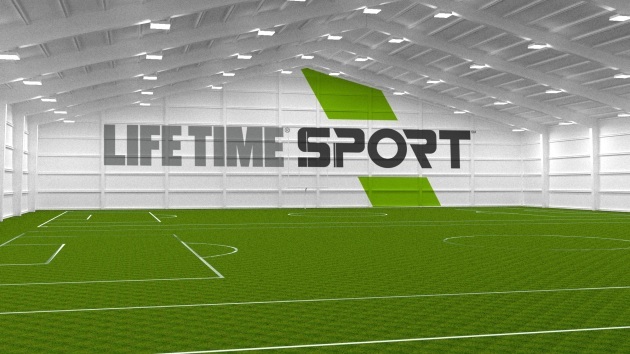 The Chanhassen-based Life Time fitness company will open its new Life Time Sport soccer facility at the former practice home of the Vikings after renovations are completed this fall. Still, Vikings officials indicated they were undecided on the long-term redevelopment future for the site. Life Time Sport is envisioned to be “a flexible alternative to organized team play with schedules and formats that make it stress-free for parents to drop off their kids when it works for them,” according to a Wednesday news release. The facility would be open to children and adults. Players will be able to participate in 10-minute scrimmages supervised by coach referees. Players will be divided by age and ability and play on smaller fields for more touches on the ball. The program would be available for both members and non-members. Life Time piloted the program at its Lakeville facility. The indoor football field that was used by Vikings players will be transformed into space for six to eight small-sided soccer fields that could accommodate 60 to 80 players. Two outdoor football fields will become 12 to 16 small-sided fields for another 120 to 160 kids. Life Time would also add a viewing area, lounge rooms with televisions and a cardio and weight room for adults. Renovations will begin soon with a grand opening planned for later this fall. Life Time will offer outdoor play and limited access events this month. A Wait List has been created for interested families. The Vikings, which moved into their new Twin Cities Orthopedics Performance Center in Eagan earlier this year, still own Winter Park located at 9520 Viking Drive. Details of the lease of the former practice facility are not being disclosed. Life Time has been expanding its brand services in recent months. In May, Life Time announced it would open several co-working offices in the Twin Cities as part of its Life Time Work concept.